We've all probably heard of the teatox programmes available all over. If you haven't, it's a detox programme where you drink a morning tea and then a night tea to help cleanse and detoxify your system. This is nothing like the juice cleanse because the teas are not meal replacements. You just drink them in addition to your usual routine. These teatox programmes are said to lead to reduced bloating, weight loss etc. 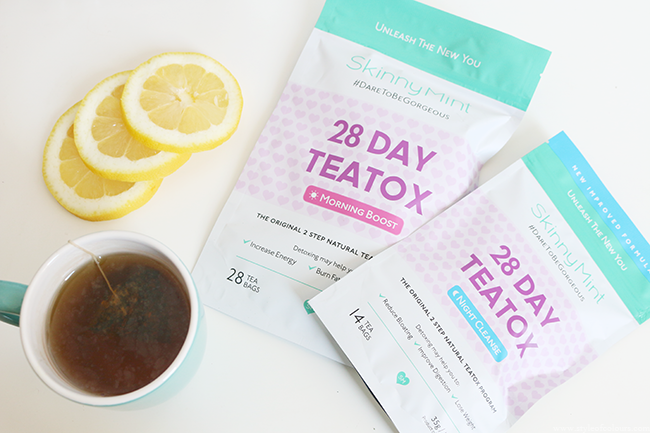 A while ago, I was offered the opportunity to try out the SkinnyMint Teatox Programme. I'd seen posts and pictures about it, so I wanted to know what it's like and if it actually makes a difference. 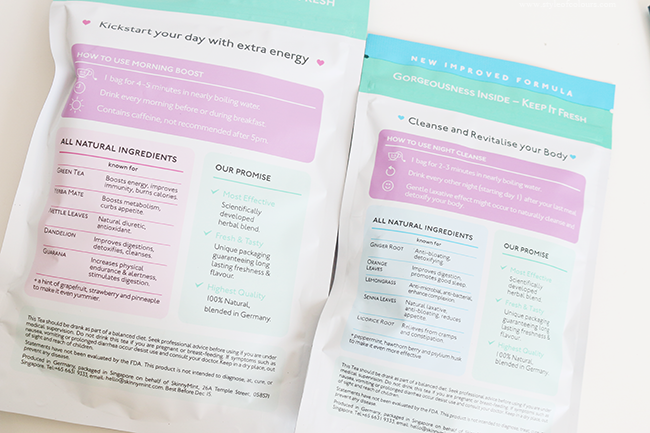 My aim of testing it out wasn't to loose weight, but more to just cleanse my system with the hopes it improves my skin condition as well as to reduce a bit of bloating. 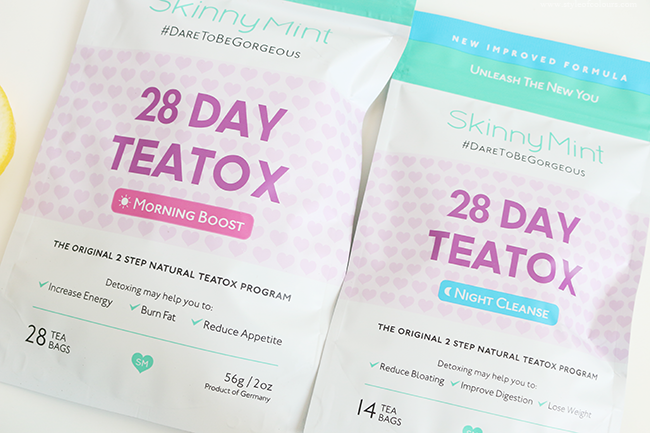 The SkinnyMint teas are made up of natural ingredients and the teatox programmes are available as 14 days or 28 days detox, with the possibility to purchase just the Morning boost or the Night cleanse. I tried the 28-day programme* and to be honest that's what I'd recommend as you'll see more of a diffrence in this time range. Morning boost- this is to be drank everyday with breakfast. 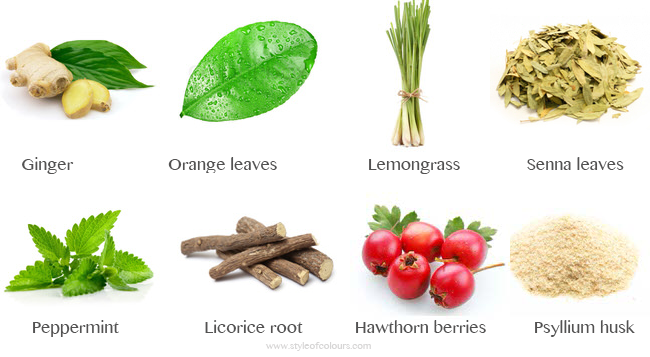 It contains caffeine and is supposed to increase your energy, improve immunity and help with digestion. 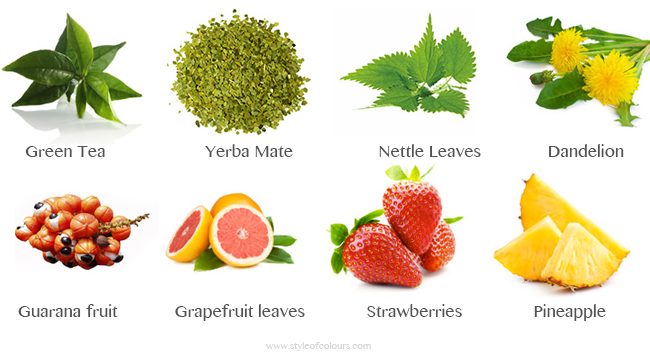 The ingredients include Guarana seed, Dandelion leaf, Nettle Leaf, Green tea, pineapple, strawberries etc. You will need to brew this for about 4-5 minutes, and the teabag can be rebrewed up to 4 times so you can continuously sip your tea all morning. Night cleanse - This tea is supposed to reduce bloating, detoxify and sooth the body for a good nights sleep. It contains ingredients such as Ginger root, liquorice root, peppermint leaf, hawthorn berry and psyllium seed, giving it an earthy taste where you can feel the ginger. You need to drink this every other night. Brew the tea for about 2-3 minutes, or you can brew it longer depending on how your body reacts to stronger laxatives. The morning tea is fruity and tasted really nice. I didn't notice a lot of additional energy but I really enjoyed drinking it, plus it made me a bit more awake because of the caffeine so I didn't have to get coffee on early mornings. I think you can even make this into your daily tea and keep drinking it after the teatox. The night tea is a bit more herbal but still smooth and easy to drink. After reading about it on the website, I was a bit worried as I don't like herbal teas and thought it would taste awful but it was really good. I enjoyed the way it warmed up my body before bed and I slept a lot better during these days. The night cleanse contains natural laxatives, so be sure to drink this once you're done for the day and do not plan to go out. Also, I'd advice to get up slightly earlier on days after drinking the night cleanse to give your stomach time to wake up and get the business done before work. If not you might end up in a slightly uncomfortable situation if you have morning meetings. So listen to your body and adjust your schedule if needed. I personally didn't experience any need to go to the bathroom too often, so it's not like you can't go about your usual schedule. I can't say I noticed my skin getting any better, but I did notice that the bloating went away which is also one of the results I was hoping to see. I also felt a lot better during the cleanse and after it. Overall, I liked it a lot and think I might do these cleanses a few times a year. It isn't recommended to do it too often as it'll be heavy on the system but I really think doing it once in a while is good for the body. And at €39.90 for the 28-day programme, I think it's definitely worth it. 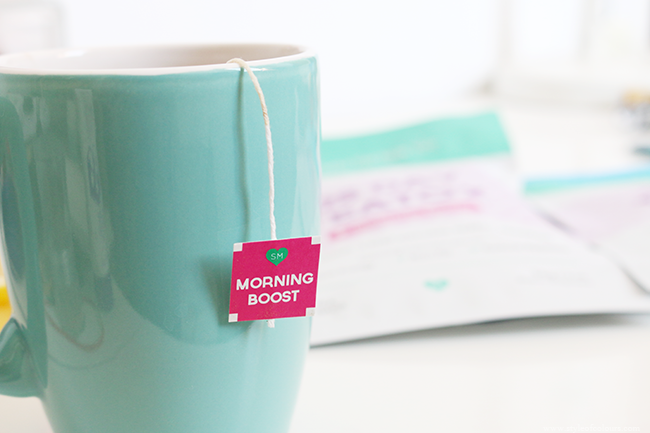 Have you ever tried a teatox programme?